Giving myself space and time to breathe. For most of my career I was fortunate to be part of a major Fortune 500 company. I had insane career growth opportunities (“IMHO”) and real adventures in learning, leading, traveling and challenging myself. When I became a single mom, I had a manager who understood I needed to work at home when my daughters were sick or having one of those northeastern snow days. I worked with a team of people who supported each other and me. I was able to earn a good living, grow my salary and eventually shop places other than Goodwill. But my life didn’t look zen like in this picture. The pursuit of perfectionism, the responsibility I felt to my team, to my director, and to the job – not to mention my daughters and my aging mother – eventually ate away at my health. One year I was hopping (rapidly) into work on crutches with my left foot in a cast and with my right wrist in a splint. I needed carpal tunnel surgery from overworking my right hand while developing our intranet pages, and I couldn’t see my way clear to make time to have that surgery done. At the same time, I was taking care of a house and a yard — the kind with big maple trees that covered the lawn with several feet of leaves in the fall — with the help of a 7 year old and a 10 year old. I get anxious just thinking about those days. In order to balance everything my daughters needed with what my job needed, I took my laptop with me to their sporting events, sat up until midnight working, and had little recreation or relaxation. By age 18 and 15, my daughter were clear that they never wanted to be part of a corporation like mine. In the “glory days’ of this company, we worked so well as a team that I always felt supported even on the worst days when our payroll system was in danger of not running. But as the recession hit and our work got restructured (translated “outsourced”), the workplace became increasingly intense. Failure was highly visible. My manager wanted answers – wanted to be able to reach me by cell phone anytime anywhere. So I accelerated my efforts. I want to be clear – I worked for a company that counted “wellness” among its initiatives. We had a fitness center on campus. (I never had time to use it.) We had safety meetings quarterly. (I raced in and out of these in a panic to get back to “real work.”) We held seminars on stress management. (I rolled my eyes and said if I spent any more time away from my desk I was going to lose my mind.) I always thought that somehow I could catch up — exceed expectations, meet the tight project timeline and budget, control the outcomes so that everyone would be happy. Instead, I couldn’t sleep. I overate and gained 40 pounds. I couldn’t verbalize what I was feeling and so there were walls between me and my closest companions. I knew I needed to re-focus on my health and so I started taking Yoga classes and marked Wednesdays as a day I absolutely needed to leave on time to get to my yoga class. I say no one had respect for that boundary I set because I missed almost every yoga class. Why couldn’t I make that promise to myself work? I never got out of work on time despite my constant reminders to everyone that I needed to leave. I was a “victim” of everyone else’s needs. In truth, I didn’t feel like I had permission to leave for something as silly as a yoga class — even though it was after work hours. The final awakening came when – instead of helping me get back on track – my HR rep said “you’re acting like you’re bi-polar.” I remember I just stared at her. And what I thought was: no one cares; no one cares WHY I’m stressed, depressed and anxious; and furthermore, I’ve just demonstrated a weakness that is going to get me eaten alive in this corporate jungle.” And so I left. It took me a year away to really stop beating myself up and give myself the freedom to take time to allow friendships, exercise and healthy eating fill in the gaps in my brain. And yes, I do mean gaps in my brain. Because it is my belief that being “on” all the time and trying to please everyone created poor judgement and decision making. I think of it now like being impaired by alcohol or drugs while driving a car. In the long run, my employer didn’t benefit from my endless hours of work; and my family and friends shared in my stress. I have to say, I’d been jaded and doubtful that any wellness initiatives by a corporation would change my experiences. So I changed. I adapted to a work style that enabled well-being, exercise, healthy eating and evenings without a laptop. I believe corporations have to desire a major shift in their culture to a mindset that supports and recognizes the need for organizational support for a healthy work-family culture. In fact, a 2005 study published in The Journal of Occupational Health Psychology found that “the formal availability of family-friendly benefits alone has modest relationships with outcomes of value to both individuals and organizations.” Rather, overall, organizational support has a significant positive impact on the perception of a supportive work-family culture. Today’s wellness is deeply embedded in corporate cultures at the best companies. It is no longer just for the sake of controlling medical insurance costs. 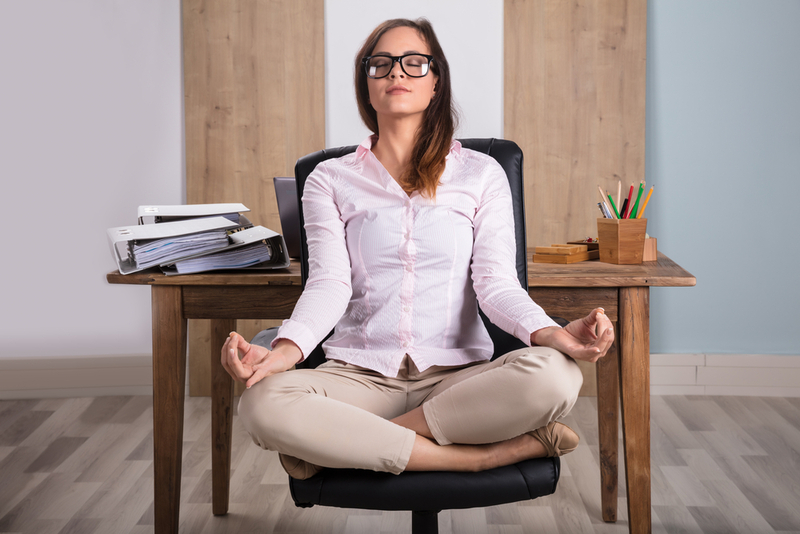 Rather, smart, progressive employers are looking at all aspects that make their workplaces “great places to work.” Glassdoor highlights companies with amazing wellness benefits. Many companies on the Fortune 100 Best Companies to Work For are there because of their emphasis on employee well-being. Deloitte research shows that well-being is becoming a critical part of corporate strategy. I could go on citing resources. This latter point — part of corporate strategy — is the key. From my personal experience, I can tell you that our changing workforce — the kind of personal life demands that I juggled along with a challenging career — demand a new emphasis on creating a culture that supports well-being — in mind, body, and spirit. We will be most successful when leadership in our organizations take the first step, set the example, and encourage their teams to follow. The SAP Guide to Employee Well-Being, cites the following initiatives which – when combined – create a holistic well-being program. These will only be effective, however, when embraced from the top down. We need our mindset to change. Social Well-Being. The number of adult Americans with no close friends has tripled since 1985. Physical Well-Being. Only 1/5th of adults meet the CDC’s Physical Activity Guidelines. Psychological Well-Being. 77% of people experience regular physical symptoms as a result of stress. Financial Well-Being. 72% of Americans reported feeling stressed about money at least some time during the past month. I describe myself as a work in progress. Because - aren't we all? As an HR tech expert, writer and speaker, I represent the customer point of view, applying my insights from a career as a senior certified HR professional, technology manager, director on a not-for-profit board, and communications strategist. I seek to be a customer advocate, enabling organizations to adopt new processes and technology and to transform through listening, translating and responding to workers' needs. I provides advisory services and expertise in SAP HCM and SuccessFactors solutions. I am the creator of Recharge HR, an HR technology education and advisory program that enables leaders to transform their businesses by identifying and implementing efficient HR processes and technology solutions. Follow my blog on www.rechargeHR.com and on social media channels. My personal point of view and passion for advancing a diverse culture are often expressed on HighHeeledStandards.com.